Q: You’ve been at South Hills for many years and have held several different positions that have each given you a unique perspective about the school. Mark: My history at South Hills is rather extensive. I began teaching here in 2004, so I’ve been here for 13 years. I started out as a receptionist and an instructor, I also then moved on into financial aid and academic affairs. Now I’m a full-time teacher. Currently, I teach English, Psychology, and Human Relations and I’m a student advisor. Q: What brought you to South Hills? Mark: I began my educational career in 1988, and I was a public school teacher, and for 12 years I taught fifth graders. Then I went on a three-year hiatus; I owned my own business. I kept being told by various people, “You need to be in the classroom!” A friend of mine who works at South Hills strongly encouraged me to apply for a faculty position. I did, and I guess the rest, as they say, is history. I have stayed in the teaching profession for so many years because I have a strong passion to make a difference in people’s lives. Getting up in the morning, I can’t wait to see what’s going to occur during the day. As most people who know me, they know that I’m highly introverted. They ask me, “Well, how can you do this job? How can you teach?” It all just boils down to passion, wanting to interact with the students, wanting them to be successful no matter one, and also having them make a difference in my life. Q: Tell me what words your students would use to describe you. Mark: Some words that my students would use to describe me are different, energetic, passionate, stubborn, humorous. Those are just a few. Q: Talk a little about your experience with teaching Millennials. Mark: Millennials sometimes get a bad rap. Some people think their work ethic isn’t up to par with the older generations, but that’s not what I see. They’re very energetic, very motivated to do well, and I think one of the things I like the most about the Millennials is that they tend to care about each other. They tend to care about society. They have some great core values. Q: What experiences have you carried over to South Hills as a result of owning your own business? Mark: Owning my own business has really helped me as an advisor. I usually have the BAMM (Business Administration—Management & Marketing) students as my advisees. Having gone through many of the business processes that they are going through here at school such as a creating a business plan, marketing plan, and so forth, I’ve been there. I’ve done that. I’ve also managed people. Q: Talk about the importance of having good writing skills and how important it is for South Hills students to develop them to prepare for their future careers. Mark: Writing skills are a vital asset for anybody in the workforce. Those who can write well, communicate well…those are the folks who receive the promotions, those are the folks who get the added responsibilities, and often they make more money, which is important to many of our students as well. It’s not just about technical skills in your field, but it’s all of these other, they like to call them soft skills, but I call them essential skills. Q: What kind of resources are available at South Hills for students that are struggling? Mark: We have numerous resources here at South Hills for struggling students. We have an outstanding faculty who is willing to spend extra time with students one-on-one. We have very supportive staff members ready to help. Our director, Mr Magg,s is always willing to help out as well as our president, Mr Mazza. We also have student tutors who help each other out. It’s just a family-oriented atmosphere, and everybody is willing to assist in whatever way is necessary. Q: Would you talk a little bit about the infamous Business Plan project for BAMM students? Mark: The capstone project for the business, administration, marketing, and management, students is the Business Plan. Most times they work in groups from two to four, and they are responsible for coming up with a creative idea for a business. That involves making a business plan. 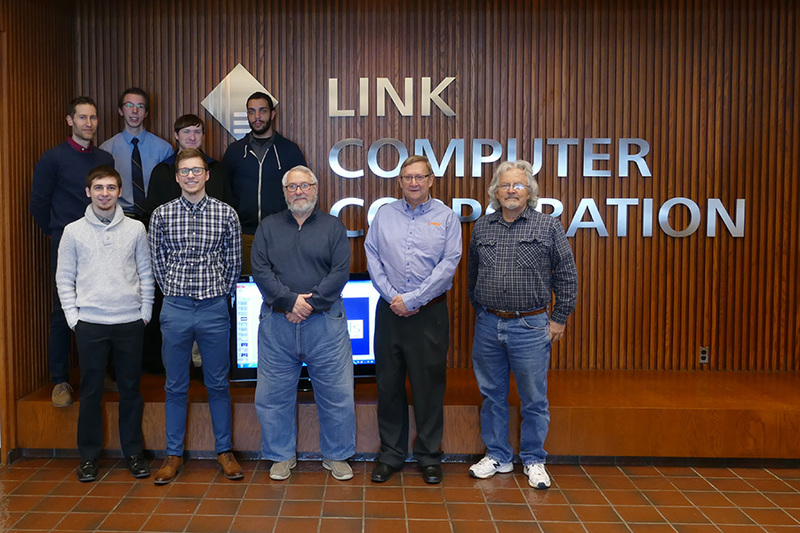 As part of the business plan, they have to come up with a marketing strategy, a management structure/hierarchy and consider what kind of employees they’ll need. They must come up with handbooks for employees as far as disciplinary procedures, and expectations. They come up with a budget, which involves quite a lot of accounting work, which some like and some don’t, but it’s very necessary. They also have to present it, much like I did when I opened my business. They have to present it as if they were presenting it to a bank who might fund them. Q: What does it feel like watching your students graduate? Mark: Watching my students graduate gives me many mixed feelings. Usually, at the end of term and during graduation, it’s kind of a sad time for me, because I get highly attached to my students, maybe more so than I should. It’s also a joyous time in seeing them actually get their wings, knowing that they’re now going to leave the nest, they’re going to fly off to who knows where, and they’re going to make incredible differences in this world. That brings such great joy and satisfaction to see that. Q: Talk a little bit about what you do in your free time. Mark: In my free time I very much enjoy “tricking out kicks,” which means that I like to design and paint sneakers. I also enjoy music very much. When I was in college, my minor was in music performance, which again, is strange being so introverted, but it’s another thing I have a passion for, is music. I also like to fish, very much into college sports, reading. I have a variety of things that I’m interested in. Q: Many people have concerns about enrolling in post-secondary education because they are worried about how to pay for school. Sometimes, the financial side seems so daunting that they don’t explore their options, they rule it out as a possibility. Since you have experience working in Financial Aid, do you have any words of wisdom for somebody who has concerns or fears about the process? Mark: Unless you actually go through the process to find out what you’re eligible for, you won’t know. There are so many grants available to our students, and scholarships, that all one needs to do is just visit our Financial Aid department. I think the student will be pleasantly surprised at who much is available, as far as monies for education. Q: What kind of advice would you give a parent that has concerns about their children attending a two-year school versus a four-year school because they want to ensure they can obtain employment once they complete their specialized associate degrees. Mark: My response to somebody who is hesitant to send a child to a two-year school is that, from my perspective, my wife is a graduate of South Hills, she graduated in 1987, and a two-year degree has served her very well. Likewise, I would not be hesitant to send my girls to South Hills, because I really believe that employers are looking for highly-skilled workers, and South Hills does a magnificent job in two years’ time, of really getting to the core, or the essence, of the job, the career, that the student would like to obtain. Sometimes four-year degrees don’t always pan out in the workforce. They can be very expensive, and in this economic time, it can be difficult to pay back student loans, so we’re economical as well. Q: Talk about ways that you think South Hills is different than other schools. Mark: South Hills is very different from other schools because here at South Hills we are a family. It doesn’t matter if you are faculty, staff, student, you are part of our family. A word that I’m very fond of is a Hawaiian word, maybe you’ve seen the Disney® Movie, “Lilo & Stitch.” There’s a word in the movie which I really like – “Ohana,” which means family. And in the movie, they say, “Family means nobody gets left behind or forgotten.” Here at South Hills, we do our very best to incorporate everybody into our family, and we try not to leave anybody behind. That makes us special. 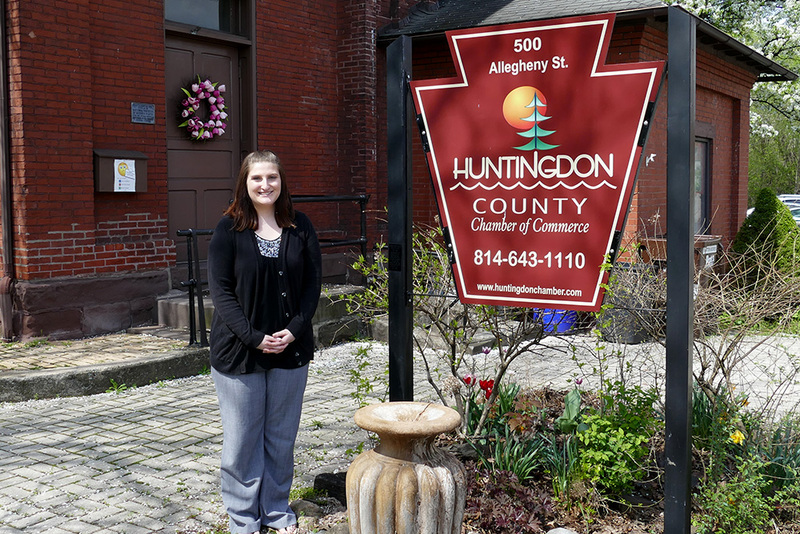 South Hills alumna MacKenzie Huntsman is shown at the Huntingdon County Chamber of Commerce, her place of employment. 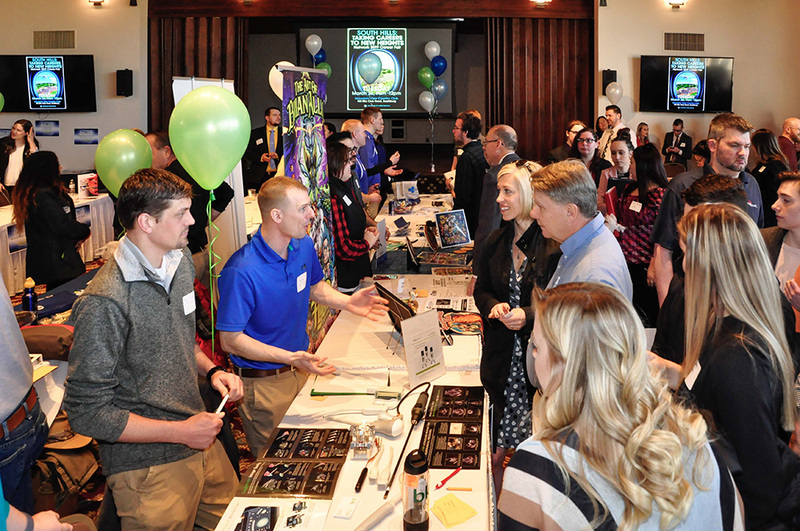 Over 80 employers participated in the 2019 Network Career Fair, many of them represented by South Hills alumni.